Welcome to the new challenge of April 2019. 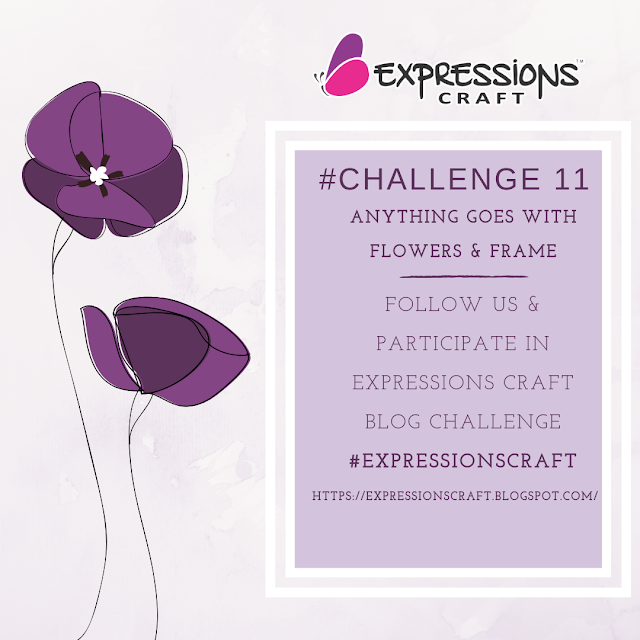 This month our theme is to have flowers and frames in your project. Create any project with flowers and frame in it. Pls remember to use any one of the products(Sprays, chippies,Paints etc) from our store.Include that in the photo which you submit. – Create a new project like Altered art, ATC’s, Card, Scrapbook pages or any other craft projects are acceptable as long as they adhere to the months challenge. – A link must be submitted of the post link only and not the entire blog! – We will accept a maximum of 3 entries per person. Please add 2,3 next to your name for subsequent entries.